When thinking of scenic places to visit in Korea, Pohang is not usually included on those lists. However, the steel city does have a lot to offer the visitor. While most of the vistas do look upon POSCO and the industrial area, the surrounding villages offer some unique views and glimpses into history. 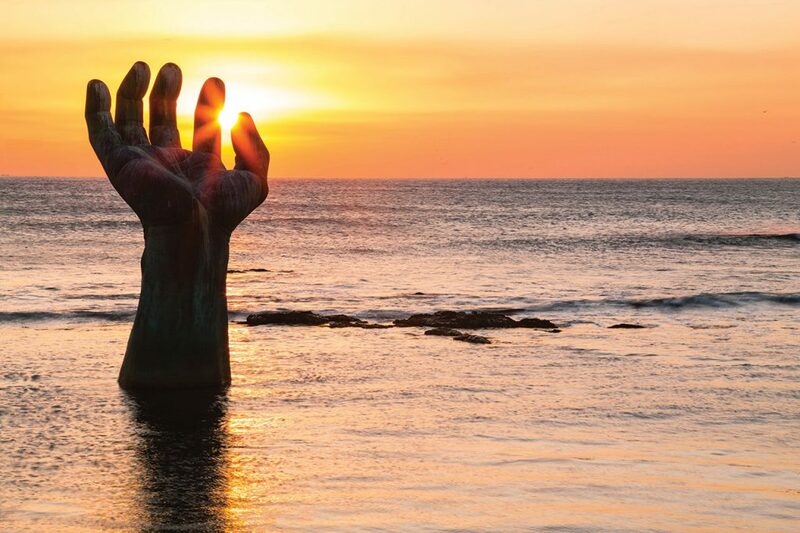 A trip to Pohang would not be complete if you did’t start off at Homigot Sunrise Square. The iconic hands of harmony sculptures (yes, there are two!) facing each other are the focal point of the square. These sculptures draw numerous visitors to the park each year but it is the sunrise festival that draws thousands. You have no doubt seen Korea depicted as a tiger. Homigot is basically the tiger’s tail and is also one of the easternmost points in the country. This means that it catches the first rays of light of the new year. Watching the sunrise is a popular tradition in Korea and Homigot is one of the top spots in the country. If you are heading out there be sure to check out the square and all that it has to offer. The New Millennium Memorial Hall offers an unobstructed view of the area from the viewing platform. This is a great place to get a feel for the area as there is certainly lots to do here. The square is jam-packed with informative and interesting sculptures and places. Check out the National Lighthouse museum to get a feel for some of the history, most notably the Homigot Lighthouse that sits in front. If you are visiting the square for sunrise and are needing a coffee, then head to Café Esperanza as it opens unusually early for most cafés in the country. The café opens at 7 AM and the second- floor terrace is a great place to enjoy the view. Just down from the square you can walk along the coast on a raised platform over the ocean. As you get closer to the city of Pohang, the presence of POSCO will start to become more prominent. However, the walk along the coast is peaceful and offers a relaxing walk in a unique setting. The remoteness of the boardwalk means that you might note a lot of crowds along the way, although it certainly is a popular spot. What makes this area special is also the interesting rock formations. The eroding cliffs create some interesting shapes along the coast. Be sure to keep your eyes open for an elephant-shaped rock. For those looking for a nice walk along the ocean and good view of POSCO in the distance, this might be worth the excursion. One of the hidden treasure in this area can be found in the village of Guryongpo. 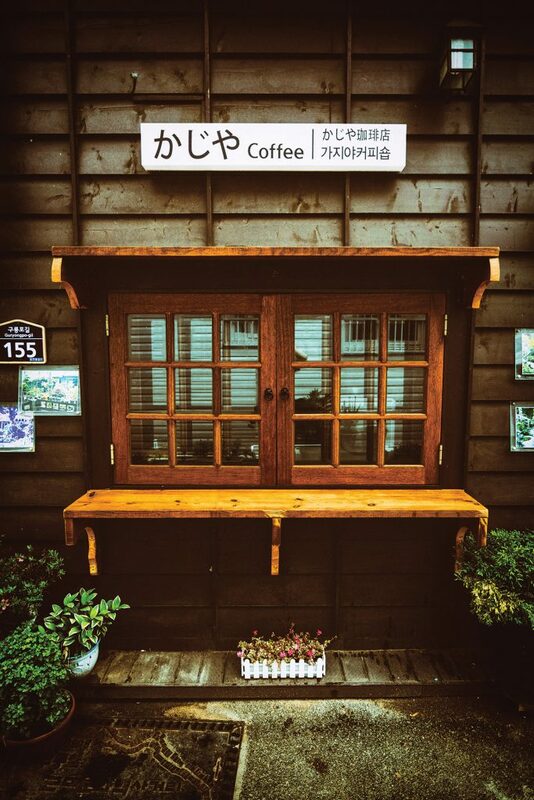 Located just down the road from Homigot, this area is known for king crab but also history. Just behind the main street teeming with crab shops is a restored area known as the Guryongpo Modern Culture and History Street and it is a hidden gem. This street is lined with restored buildings from the Japanese colonial days and shows visitors a small glimpse into the impact the Japanese made during that time. The street was also the meeting for the Korean drama “Eyes of Dawn” and there is a spot where you can see the various memorabilia from the show. However, if you walk down the street a ways, take the time to enter the museum. Entrance is free and there is some English interpretation. The museum shows what like was like for one Japanese family during the occupation. The house has been restored and educates visitors as they walk through the two-story home. The street is lined with shops and cafés. Not to mention that you can also try the area’s specialty mulhoe there as well. One shop in particular is quite popular among visitors and sits on your right as you enter the street from the main gates (about midway down the street). The name “Guryongpo” roughly translates to “nine dragons,” and a sculpture commemorating this stands overlooking the town just above the modern culture and history street. The numerous steps leading up to the park may put some people off, but the view over looking the port will be worth it. If you are looking to get a little more active, Oeosa Temple is a beautiful temple that sits on the edge of a reservoir and offers some great hiking opportunities. One of the more notable features of this temple is the beautiful suspension bridge that greets visitors next to the temple. It is a great starting point for a walk around the reservoir. The temple itself is stunning and sits in the lush forest that surrounds the reservoir. If you are looking to get a workout, hike up the stairs to the upper part of the temple, which offers a great view of the mountains and reservoir. Do note that you may have to walk in from the village if the parking lot at Oeosa is full. For some, this is an added benefit, but it also adds an extra 800 meters to your hike that you may not be planning on. 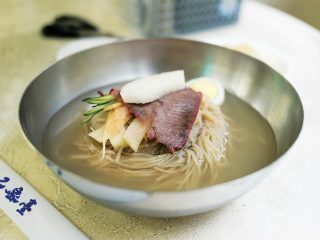 Pohang may offer a lot with regards to fresh seafood and delicious sujebi in Jukdo Market and other areas around the city. One area that should not be overlooked is Yeongildae Beach. Also known as Bukbu Beach, it is one of the more popular beach areas in Pohang. 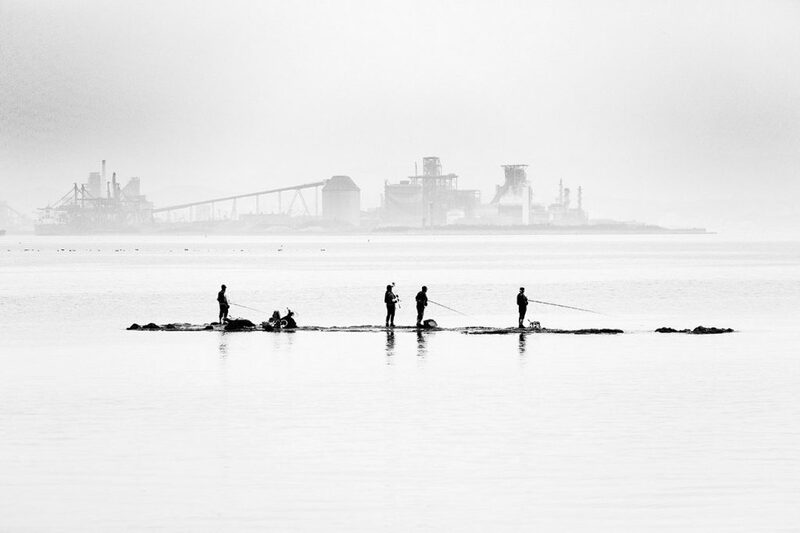 It is a pleasant surprise for a city known more for their factories than beautiful beaches. Yeongildae Beach feels a lot like Haeundae Beach from about 10 years ago. It is surrounded by seafood shops and restaurants. People pitch tents in the soft sand to spend the day relaxing. Vendors selling a variety of foods line up next to each other near the Yeongildae Observatory. The Yeongildae Observatory is a popular spot to catch a great view of POSCO and of the beach as well. Recently constructed, this traditional structure adds a beautiful touch to the beach and acts almost like a focal point drawing people to the food tents along the beachside walkway. 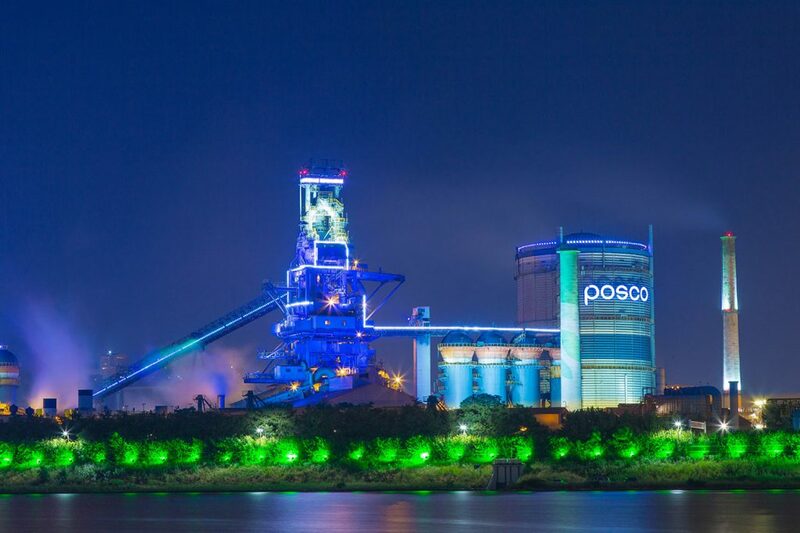 A trip to Pohang would not be complete without catching a glimpse of the POSCO steel mill at night. While you can most likely see the mill from many parts of the city, the view from the riverside exercise park is unbeatable. There is free parking and a walkway along the river that gives an unobstructed view of the factory and their evening lights. This is a great way to spend the evening if the beach is not your thing. In the end, if you are heading down the coast, be sure to check out Pohang and see all that it has to offer. While at first glimpse it may seem like just a factory town, upon closer inspection you will be amazed at the wealth of history and natural attractions that this city has to offer. Plan on getting up early to see the sunrise and heading to bed after you see POSCO’s lights come on. 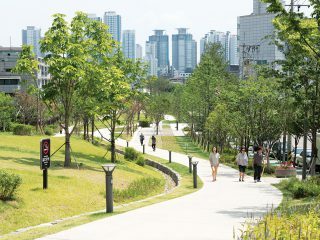 There is more than enough to see and do in Pohang to fill up your day. A trip to Pohang would not be complete if you did’t start off at Homigot Sunrise Square. 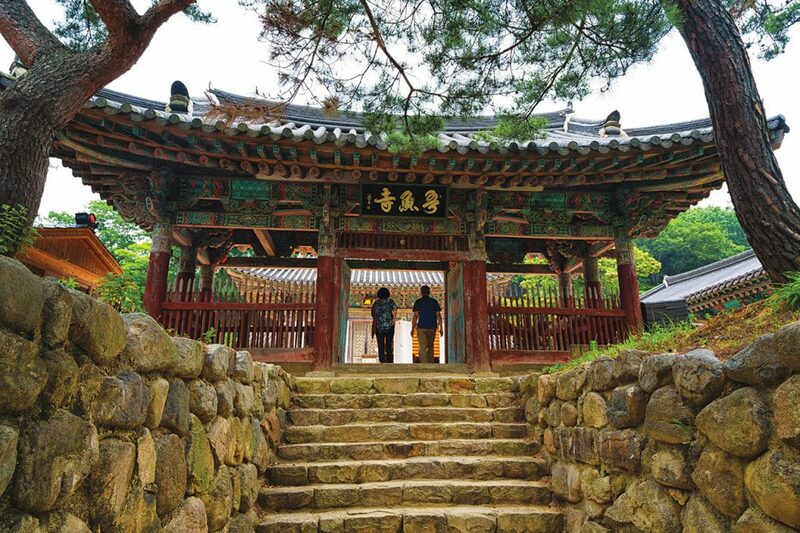 STAY> Pohang has a number of affordable places on Air BnB that a budget-minded traveler can choose from. Also there are a number of motels located around YeongIldae Beach. The Best Western (054-230-7000) offers a spectacular view of the beach. If you are looking for something a little more relaxing, the Bada Pension (054-243-2277) near Wolpo Beach is a great place to relax and get a swim. Able to accommodate large groups, the rooms offer balconies with great views and jacuzzi tubs. EAT> Pohang is famous for fresh seafood. Head to Jukdo Market (054-247-3776) and try some fresh crab or mulhoe. If you are looking for fresh-from-the-ocean delights, try Chang-u Mulhoe Daege (054-284-4312) in Guryongpo. Located at the entrance of the Modern History area, the seafood comes in directly from the port out front. GO> It takes about 2 hours and 30 minutes to get from Seoul Station to the Pohang KTX station. From there you can catch a cab to pretty much anywhere in the city. Buses leave regularly from Seoul to the Pohang Express Bus Terminal. It takes about five hours to get to Pohang, depending on road and traffic conditions. Again, taxis and local buses are readily available.